The roar of the crowd, the sea of colors, having a home course advantage, running to the rhythm of the drums, seeing friends and family … this is what the Rich Engel Classic is all about. 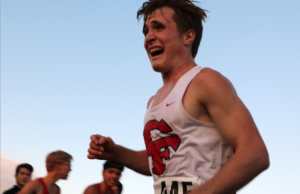 The CFHS men’s and women’s cross country teams will face tough competition Thursday, Sept. 19, starting at 4:45 p.m. at their home course, Birdsall Park. 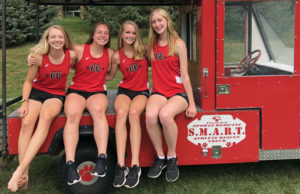 Formally know as the Tiger Invitational, last year it was renamed the honor Rich Engel, a former cross country coach for 16 years and driver’s ed teacher at Cedar Falls High School. “Coach Engel was not only a good friend, but a strong role model for kids. He was the men’s coach when the team gained popularity,” women’s cross country coach Bob Schmidt said. The women, ranked 6th in the state, and the men, ranked 5th, will both look to face some of the toughest competition in the state on Thursday such as Dubuque Wahlert and Ankeny. 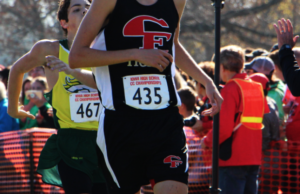 Cross country is definitely no sport for the weak of heart. Everyone who runs in the sports knows that it’s very challenging both mentally and physically. There are a lot of things with the home meet that people are anticipating. “I’m looking forward to having people from our school there,” senior Daniel Kenealy said. “I’m looking forward to the week of it, because we do a lot of stuff and also the crowds because they give us so much support,” senior Emily Swarbrick said.